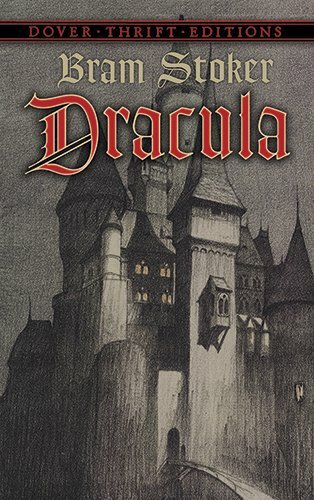 Buy Bram Stoker's Dracula or more retellings of the Dracula myth cheaply from Amazon. You too can earn money from writing articles by signing up for InfoBarrel. According to Dracula Untold, in 1442 1,000 young boys from Transylvania were taken by the Ottoman Turks to serve as Janissaries, which were originally Christian slave-soldiers and elite troops. One of these boys was a young Vlad Dracul, who became feared on the field of battle as Vlad the Impaler, the son of the dragon, or Dracula (Dracul meaning dragon). After tiring of war, a now-adult Vlad (Luke Evans) returned to his native Transylvania to become its prince, as he was the son of the previous prince. He took a wife, Mirena (Sarah Gadon), and at the time of the film's start they have a son, Ingeras (Art Parkinson). 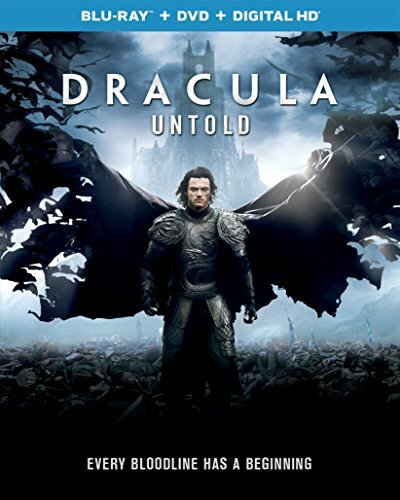 Credit: http://en.wikipedia.org/wiki/Dracula_Untold#mediaviewer/File:Dracula_Untold_poster.jpgTransylvania continues to exist because it pays tribute to the Ottoman Sultan, Mehmed II (Dominic Cooper, Abraham Lincoln: Vampire Hunter, Dead Man Down, Need for Speed), who, when Vlad was a political prisoner, was friend of his. When this year's tribute comes to be paid, though, something more is asked - another 1,000 boys to serve as Janissaries in the Ottoman army, which will include Vlad's son. Vlad initially agrees but, when the time comes to hand his son over, he is pushed too far and he kills the Sultan's emissaries. This action has consequences, and the Ottoman army comes to destroy Transylvania. In order to protect his family, and his people, Vlad needs the power to stop the Ottoman army, so he goes to the lair of a legendary monster (Charles Dance, Pride and Prejudice and Zombies, The Imitation Game, Underworld: Awakening) in Broken Tooth Mountain to ask for help. This help requires him to drink the blood of the monster, a vampire. In return, for three days he will be granted the vampire's abilities - strength, superior senses, healing and the control of the creatures of the night - but he will also gain the vampire's weaknesses to daylight and silver. After three days he will become mortal again, unless he submits to his thirst and drinks human blood. With only three days to protect his people and his family, and only able to use his abilities when out of the sun's light, Vlad has great power, but serious limitations. He has become a killing machine, but one with a limited lifespan, and one that is always under threat of becoming a true monster should he give into his blood thirst. As might be expected, with this film being a story about a legendary vampire, things don't go to plan. The story is a mixture of the historical Vlad III ÈšepeÈ™, with parts of Bram Stoker's fictional Dracula added and a further fictionalised back-story and current events thrown in. The real Vlad was a political hostage of the Ottoman Turks, but there is no record of him being a Janissary - he was actually deposed from the throne in the year that the film has him being sent to the Ottomans as a hostage. The actual historical events, as they are known, bear little resemblance to those in the film - but then, there is no historical record of the real Vlad the Impaler actually becoming a vampire. Despite the strong action elements to the film, which tend to consist to Vlad laying violent waste to vast hordes of Ottoman soldiers, this is not truly an action film, nor is it really a horror film either. Instead, it has a rather strong element of a love story woven through it. Vlad becomes the monster to protect those he loves and his country, not for any personal gain. He turns to darkness out of love more than anything, which is admittedly a rather interesting spin on it. There may be a lot of violence in the film, but it is to a large part curiously bloodless to watch. In addition, even though Vlad is only supposed to be able to operate at night, the scenes are rarely dark, tending more towards grey. Sometimes this is due to clouds during the day, but other times it is supposed to be night. It could be that, if it was shot with a more true to life level of light, it would have been impossible to really see what was happening, with the result that shades of grey abound. Dracula Untold is apparently intended to reboot the old Universal Monsters franchise. Indeed, at the end of the film, it does feel as if there could be more to come. Perhaps a sequel; perhaps something else. Does the film work as it is? Well, sometimes it does and sometimes it doesn't. There are some spectacular scenes and effects as Vlad uses his powers, and he certainly doesn't seem to be an evil man, even though he was before and will be again a monster, even if the first time he was a human monster, rather than an actual one. That is certainly different from the usual portrayal of Dracula. The film at times seems too hurried, but at other not long enough. Some parts seem to have too much time spent on them, but others not enough. Dracula Untold is worth seeing, but it at times doesn't seem to know what it is - love story, action, or horror - and this confusion tends to weaken the effect. Great review. I think it's worth seeing. Thanks! I admit I was a bit disappointed with it.